What Items Can I Expect to Find? Happy Moms carries just about anything related to babies and kids! *Please note that our Fall/Winter Sales are the sales that take place in July, August, or September. Our Spring/Summer Sales are the sales that take place in February and March. However, regarding long-sleeved shirts at our Spring/Summer sale and short-sleeved shirts at our Fall/Winter sale you may only enter a maximum of 10 items for each of your children. (Infant sleepers[non-fleece material for spring sale] and clothing will not be included in the 10 item limit). 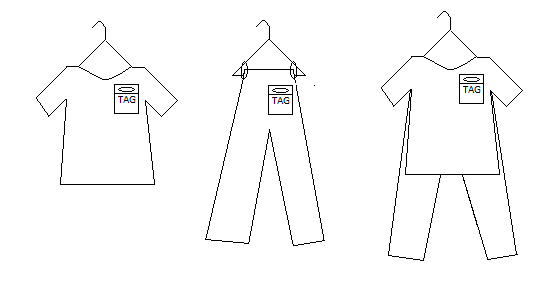 You can pair/group multiple shirts under the same item number as long as you follow the correct hanging instructions on our tagging page and as shown here. We apologize for any inconvenience but we want to make sure our sale has a high majority of seasonal appropriate items. Shoes in great condition in any size. Shoes must be Like New or Gently Used Condition. No boots, other than rain boots accepted for spring/summer sale. Feeding: bottles, sippy cups, bottle warmers, pacifiers, toddler silverware, burp cloths, factory-sealed formula. Media: DVD (Rated G or PG) NO VHS Allowed. Games: Board games, puzzles, electronic and learning games such as Leapster, VTech, etc Please make sure all game & puzzle pieces are included and all electronics are in working condition. Children's clothing: sizes newborn to 18 in boys and girls. Children's shoes including snow boots (Fall/Winter) and sports cleats (Spring/Summer). Cribs, mattresses, toddler beds, bassinets. Cloth diapers, diaper genies, changing pads, diaper bags, backpacks. Burp cloths, nursing/Boppy pillows, breast pumps and accessories. 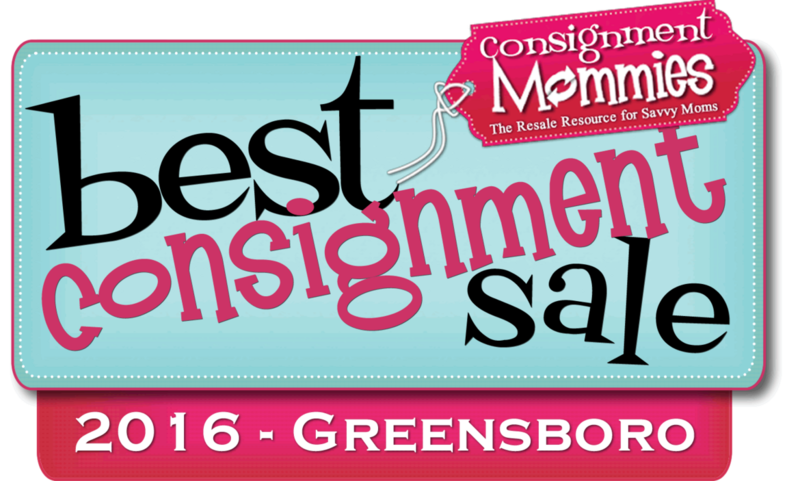 Bedding and sheets for cribs and other sized beds, and decorative pillows. Crib mobiles, laundry hampers, diaper stackers, lamps, wall hangings/décor, and photo frames. A wide variety of brands and age ranges for infants, girls, and boys. Books, DVD videos, puzzles, board games, music CDs. Electronic educational games such as LeapPad, Leapster, V-tech, etc. Train tables, tool benches, play kitchens, and doll houses.